But without partners in Europe, let alone buy-in from countries like Russia, China, and India, it's unclear how strong that pressure will be. "We urge all nations to take such steps to make clear that the Iranian regime faces a choice: Either change its threatening, destabilizing behavior and reintegrate with the global economy, or continue down a path of economic isolation," President Donald Trump said in a statement Monday. President Donald Trump is pictured in Washington, July 30, 2018 and Iranian President Hassan Rouhani is pictured giving a speech in Tehran, May 2, 2018. More importantly though, this is a sign that the administration "intends to fully enforce our sanctions," as one senior administration official said Monday, ahead of the November 4 deadline when the more consequential sanctions go into effect. Those target Iranian oil and the Central Bank of Iran, among others. 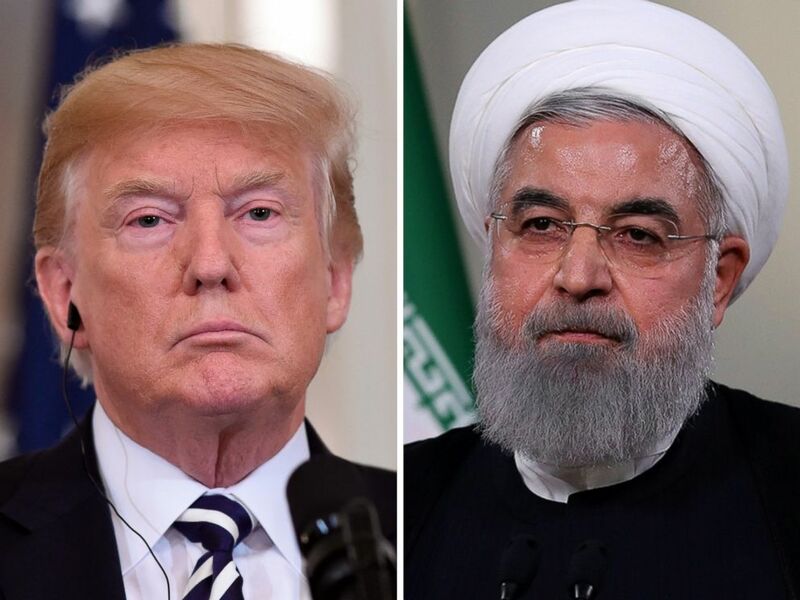 Senior administration officials briefing reporters Monday repeatedly tied this new economic pressure campaign to Trump's recent comments about meeting with the Iranian leadership, saying the U.S. wants to talk to reach a new Iran deal. "None of this needs to happen. 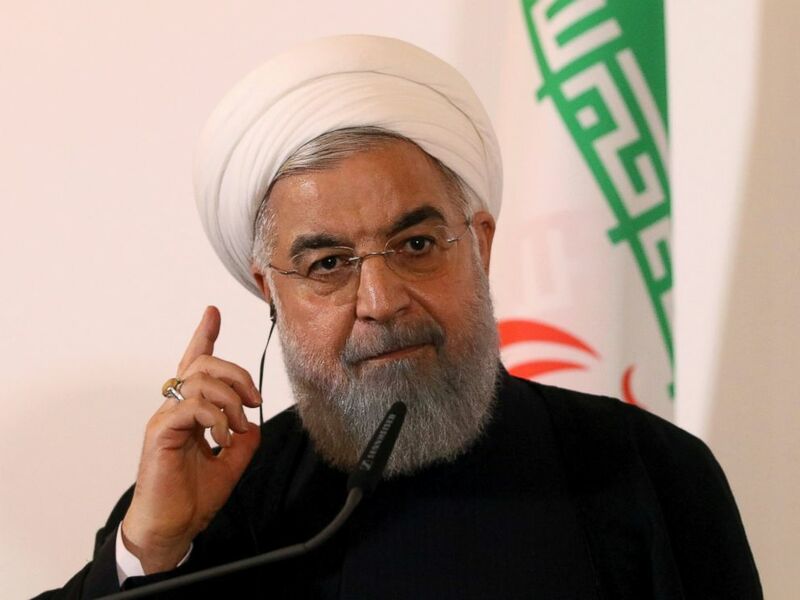 He will meet with the Iranian leadership at any time to discuss a real comprehensive deal that will contain their regional ambitions, will end their malign behavior, and deny them any paths to a nuclear weapon," said one official. But that's a nonstarter with the regime, which has already rebuffed Trump's proposal to meet, saying he cannot be trusted because he's already gone back on America's word. Officials Monday also repeated the words of Secretary of State Mike Pompeo: That the U.S. is not seeking regime change, but a change in the regime's behavior. One official dismissed that, saying blaming foreigners has been the regime's "M.O." for 40 years and, "You see the Iranian people starting to see through that... they know it's the regime's policies." Iranian President Hassan Rouhani speaks during a joint news conference as part of a meeting with Austria's Chancellor Sebastian Kurz at the federal chancellery in Vienna, Austria, Wednesday, July 4, 2018. The senior administration officials said that they continue to work to build a "global coalition" and that "nearly 100 international firms" had already announced they will leave the Iranian market. But the U.K., France, Germany, and EU's foreign ministers released a joint statement to say that they "deeply regret the re-imposition of sanctions by the U.S." and that the "JCPOA is working and delivering on its goal, namely to ensure that the Iranian [nuclear] programme remains exclusively peaceful." "Preserving the nuclear deal with Iran is a matter of respecting international agreements and a matter of international security," they add. Trump violated the terms of the agreement by reimposing sanctions today, 90 days after he announced the U.S. would withdraw from it. The Europeans added that a "blocking statute" will go into effect Tuesday, protecting European companies "engaged in legitimate business with Iran" from U.S. sanctions and requiring companies who want to pull business out of Iran to get EU approval first. That will set up a showdown with the U.S., with one official warning the U.S. will make sure the pressure is air-tight: "Make no mistake about it, we are very intent on using these authorities. We will use them aggressively." 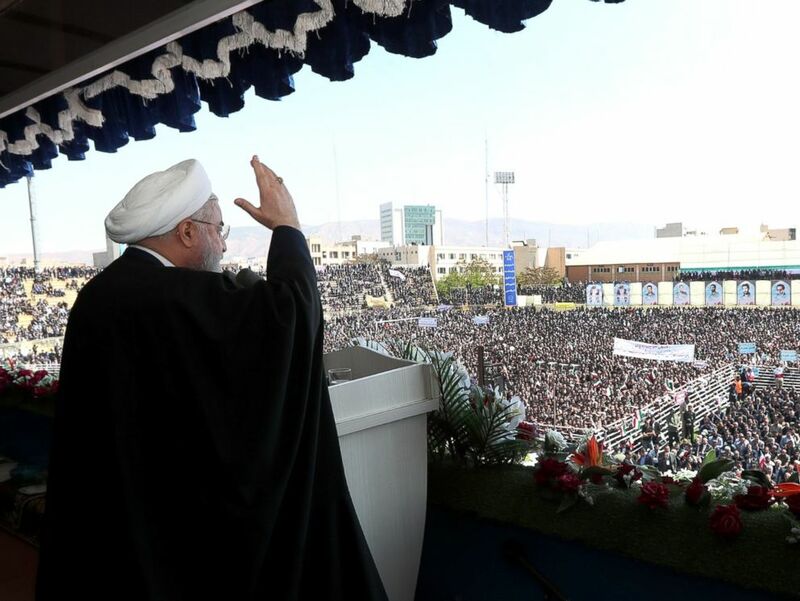 Iranian president Hassan Rouhani addresses the crowd during a rally in Tabriz, Iran on April 24, 2018. There has been some back-and-forth within the administration on whether they'd offer waivers to countries. But today, one official said while they won't discuss "private deliberations," they are "not looking to grant exemptions" and will only review requests "on a case by case basis." While that economic impact will fall most harshly on the Iranian people, one senior administration official was particularly adamant that the U.S. does not deserve blame for any of their suffering: "The blame for the situation is perfectly clear, it lies with the Iranian regime that has systematically destroyed that beautiful country over the last four decades." Asked about the possible collapse of the Iranian economy, officials wouldn't speculate, but repeated, "We've very intent on using financial sanctions to create leverage." ABC News's Jordyn Phelps and Ben Gittleson contributed to this report.